The Singer Treasure is a treasure comprised of Spanish coins, silver bars and jewellery hidden by the Singer family in the sand on Padre Island in the 19th century. If legend is to be believed, the treasure rests somewhere at the southernmost tip of the island. There might also be a second treasure buried between two, at the time small, oak trees. John Singer his 23 year-old New Orleans-born wife Johanna Shaw Singer arrived in Texas around 1847, together with their children. At this time, Port Isabel and Corpus Christi were major supply stations, so the Singer family set up a shipping business in Port Isabel. One day during his first year in the shipping business, John Singer encountered bad weather as he was captaining a three-masted schooner named the Alice Sadell from the harbour at Port Isabel. Singer wasn’t an experienced seafarer and he downplayed the importance of the storm, ensuring himself that it wasn’t much to fuzz about. It wasn’t until the waves began to lap over the deck that he realized that he was in dire straits. 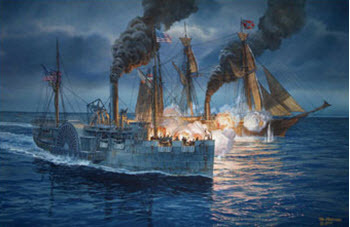 Captain Singer navigated towards Padre island, but instead of reaching safety, Alice Sadell was smashed into the coast. Singer survived the wreck, and so did Mrs Shaw, four children and a hired hand. The shipwrecked survivors salvaged materials and supplies from Alice Sadell and used her canvas sails to erect a tent. Eventually, they could move from the tent and into a small house built from salvaged material and driftwood. Eventually, they grew to love Padre Island so much that when they were finally found by a rescue vessel, they refused to leave. John Singer built a small boat so he could travel between the island and the mainland. The family subsisted on fishing and also grew food in a small garden planted by Johanna Singer. In addition to this, they kept cattle purchased from the mainland. The Singer family used the foundation of the Ballí house to build a new home, which they name Las Cruces. 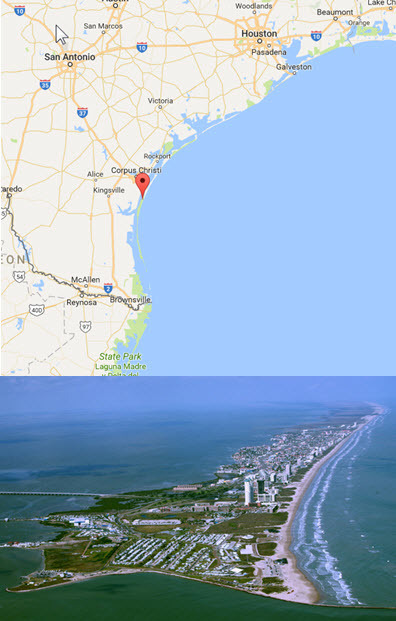 They kept raising cattle and also made money from buying and selling land on Padre Island and nearby Brazos Island. Johanna Singer now had a large garden that produced enough not just for the family’s needs but also yielded a surplus that she would take to Port Isabel in her skiff and sell. The Singer family invested $500 into the Singer Sewing Machine Company – a company founded in New York City by John Singer’s technically skilled younger brother Isaac Merrit Singer in the 1850s. 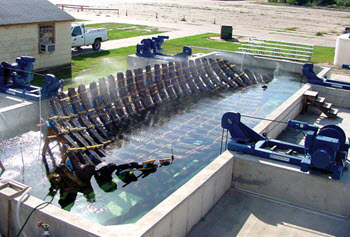 When John Singer was appointed wreck master of Padre Island, the family received yet another source of income. 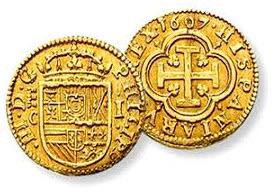 At some point after John being appointed wreck master, the Singer family found a number of Spanish coins while scouring the beach. Exactly what they found remains unclear – according to one version of the story it was about $80,000 in coins and jewellery stored in a wooden chest, but we can not know if this version is true or not. The Singer family is said to have hidden the bulk of what they found in a large sand dune which they called Money Hill. They are also said to have put other earnings and finds into this hill for safekeeping, rather than trusting a bank. By the early 1860s, the family allegedly owned a large treasure comprised of Spanish coins, silver bars and jewellery. 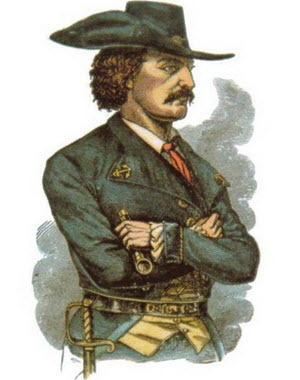 When the Civil War broke out in 1861, the Singer family found themselves in the midst of it, since Las Cruces Ranch was situated near the strategically important Brazos Santiago pass. As the Singers were also known to be Union sympathizers, John, Johanna and their seven children were soon forced off the island, reluctantly leaving their cattle and other possessions behind. With the hopes of one they returning to Padre Island, they stored goods then valued at approximately $60,000-$80,000 in the sand. While Federal troops occupied the Las Cruces Ranch, helping themselves to Singer’s cattle, the Singer family lived first at Flour Bluff south of Corpus Christi and then on Brazos Island. Once the war was over, they returned to Padre Island only to find that their home had been torn down and used as firewood by Union sailors. The island had also been hit by a hurricane and the sand dunes looked very differently now. Wind, water and shifting sand had removed important landmarks and the family kept searching in vain for their Money Hill. Johanna Singer died in 1866, the year after the end of the Civil War. After her death, John went to Central America and remained there for a while, before returning to the United State to collected his family and move it to New Orleans. John Singer returned to Padre Island with his eldest son Alexander on at least two occasions, trying to find the Money Hill. All attempts were unsuccessful, and John Singer died in poverty in Mississippi in 1877.